In our previous tutorial we covered how to create your DaCast channel. Now we’re going to look at how to completer your DaCast live streaming encoder setup. This will require your video broadcast software, also known as your encoder. After you’ve created your channel, to start your broadcast you will need an encoding software and to complete the “Encoder Setup” portion in your channel settings. 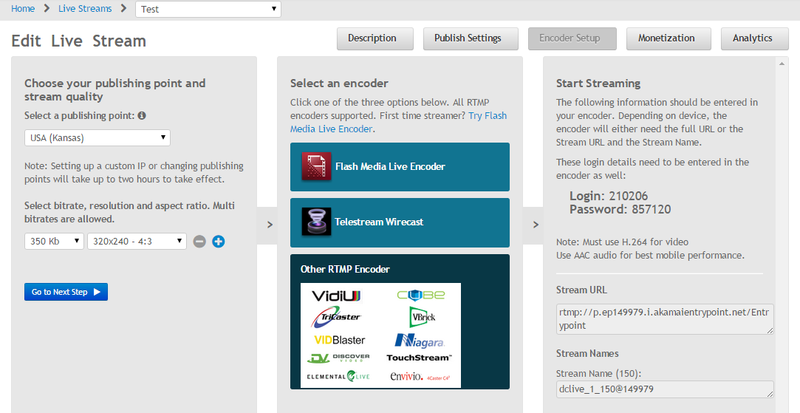 For live streaming encoders recommend Flash and Wirecast. For other alternatives, take a look through some of our other tutorial videos. Start by choosing the best “Server” for you. This should be the one closest to your geographical location. Next we want to choose the “Resolution” for your stream. Go to your encoder, and check your broadcast settings, to see what the resolution of your broadcast is. If you can’t see the resolution you are broadcasting in, choose one slightly smaller, otherwise the video will be stretched. If you want to add “Multiple Bit-Rates” to your live stream, make sure that you have enough bandwidth to support all of them. For example, if you have 350kb, 800kb and 1200kb as your bit-rate options, then your connection will have to be able to support 2350kb of data. In other words, you would need an upload speed of at least 2.5mb. Next, we want to select which type of encoder we are using. This will then display the information you will need to put into your encoding software, in Step 3. Two encoders we recommend are Adobe Flash and Wirecast. Flash is a free encoding software from Adobe that is streamlined and covers many basic features, such as multi-bitrate streaming, local recording and deinterlacing. Wirecast is a paid-for encoding software that is feature rich and is very powerful, including lots of graphics for your broadcast. Other RTMP (Real Time Messaging Protocol) encoders, include almost any other encoding software or hardware options. Examples are Tricaster, Niagara, Teradek Products, Xsplit and OBS. All encoders have their advantages and disadvantages, which one you decide to use will largely be based on personal preference. Whichever encoder you are using, select the relevant option to display the information you will need. For Flash, you can simply download the “XML Profile”. In Adobe Flash Encoder, go to “File” -> “Open Profile” and select the XML Profile. Then click “Connect” and fill in the “Login” (Username) and “Password” with the Login and Password from the Encoder Setup page. With Wirecast you can simply use the “DaCast” option in the drop-down menu, after you have gone into the Broadcast Settings. For this, use your normal DaCast login information, rather than the login and password for your RTMP connection. Other encoders which have DaCast as a drop option are vMix, Vidblaster and LiveU. 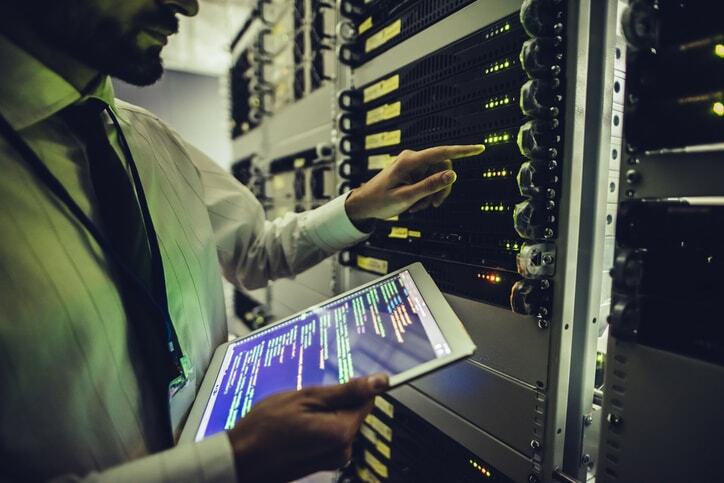 If you are using another encoding software, you will need to follow the instructions for connecting to an RTMP server. This usually involves filling in you “Stream URL”, “Stream Name”, “Login” and “Password” into the encoder’s Broadcast Settings, or RTMP Plugin. We will update this list as more tutorials are added! We hope this tutorial has helped you to get started with your first DaCast live stream. If you still have questions, feel free to leave them in the comments below or reach out to us on Twitter. What tutorial would you like us to do next? Feel free to share that below as well. We will get back to you!